Severe brain injuries often cause permanent damage — not only to the most vital organ in a victim’s body, the brain, but to the lives of the family and friends who must adapt to a loved one’s reduced mental ability and need for long term care. At Zaytoun Law Firm, we’re dedicated to helping brain injury victims and their families adjust to life after an accident, as well as seeking justice and compensation for brain injuries caused by negligence in the hospital or on the highway. We know that holding wrongdoers accountable, like those who cause life-changing brain injury, is critical to making our society safer and preventing future tragedies. There are two main categories of brain injuries: those caused by the supply of oxygen to the brain being either reduced (hypoxic) or totally blocked (anoxic); and those caused by trauma, such as a traumatic brain injury (TBI). A lack of oxygen to the brain can be the result of medical negligence or airway mismanagement during surgery or anesthesia, by EMTs in emergency situations, or during birth where a child sustains a permanent disability like cerebral palsy. Raleigh attorney Robert Zaytoun has decades of experience representing brain injury victims in medical negligence cases and has earned landmark verdicts for his clients in these cases. Traumatic brain injuries are frequently due to motor vehicle, motorcycle, trucking or bicycle accidents, but can happen anytime there’s a forceful blow to the head. These injuries sometimes occur without visible signs like cuts or bruises, and symptoms may not show up right away or may be subtle in nature. Accordingly, victims of a traumatic brain injury may not immediately know how badly they’ve been injured, which leads bad actors and their insurance companies to challenge the severity of a TBI even in a case of clear negligence. Victims with TBIs need skilled legal counsel who knows how to prove the true nature of these life-altering events — and who won’t let wrongdoers escape from paying for the harm they cause. 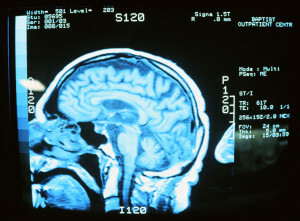 Whether a hypoxic/anoxic brain injury or a TBI, the experienced NC brain injury attorneys at Zaytoun Law Firm regularly work with excellent physicians, life care planners, rehabilitationists and experts in many other fields to prove the true extent of a client’s losses — and to present a compelling depiction of how people’s lives were forever harmed by preventable negligence. For more information on our services and how we can help you, contact Zaytoun Law Firm in Raleigh NC for a free consultation.